Investment Opportunity! So much potential! 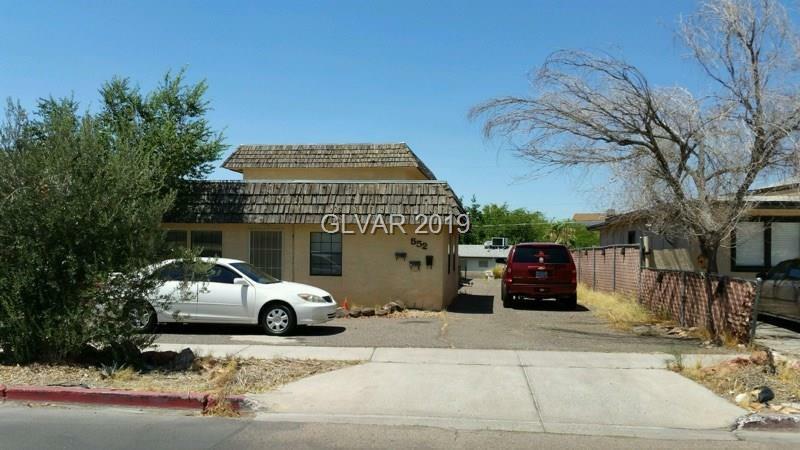 This is a 3-unit property with tenants in place. One separate small home at front of parcel, with a 2nd building behind, which has a 2-bedroom apartment, studio apartment and separate 1-car garage rented (as storage space). Owner pays water, sewer and trash; tenants pay electric. Directions: I-11 South To Boulder City Pkwy. Left On Date Street. Subject On Left.